Your trials prepare you for your triumph! Dreams can take a while to become a reality. The process may be ugly, but the product is so beautiful. Remember that Joseph had this dream a while back and it didn’t manifest or become a reality immediately. Josephs’ dreams at age 17, of his brothers bowing down to him, took approximately 22 years to come true! The dream didn’t mention the struggles that came along the way. Sometimes God will allow us to wait and endure because He is preparing us for what is ahead. 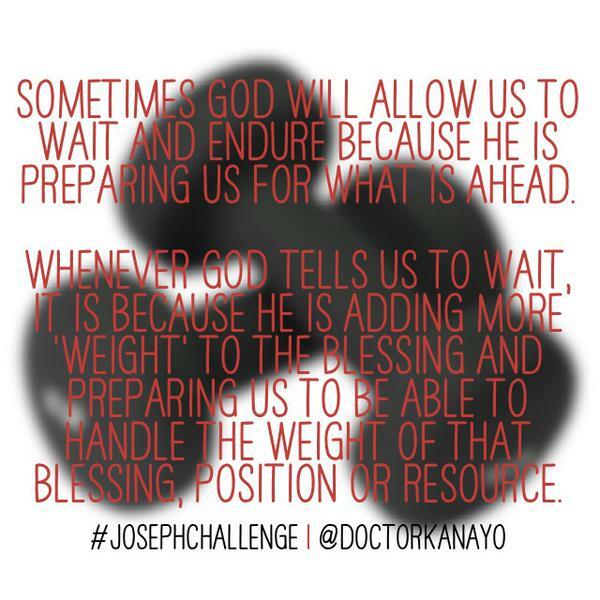 Whenever God tells us to wait, it is because he is adding more ‘weight’ to the blessing and preparing us to be able to handle the weight of that blessing, position or resource. Nothing that Joseph went through was in vain; instead, the trials prepared him for his triumph. Everything that he experienced along the way was crucial for his position in God. Similarly, nothing that you have been through is in vain. Your experience and challenges on the way to your dream will inspire others and gives you the platform for ministry (serving). Joseph’s story is not just a ‘prisoner to president’ or ‘pit to palace’ buzz word story. Joseph became a man that depended on God for everything, who walked in his identity of a child of God and not just being Jacob’s son, the shepherd boy. We need to walk in that same identity, forsaking the labels given to us by man and living out the truth spoken over us by God. Genesis 46:2-4, stood out to me. It may not be seen as the main focus of this passage, but these two verses show that God is a God that confirms and is concerned about our feelings. 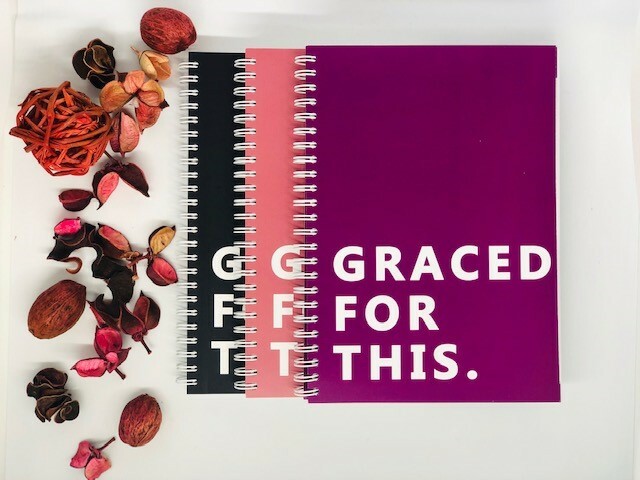 There is no written account of Jacob praying to God about his worry or fear of going to Egypt in the previous chapter, yet, God still sent His word to reassure Jacob. This is not an encouragement to remain silent about your emotions and concerns to God. 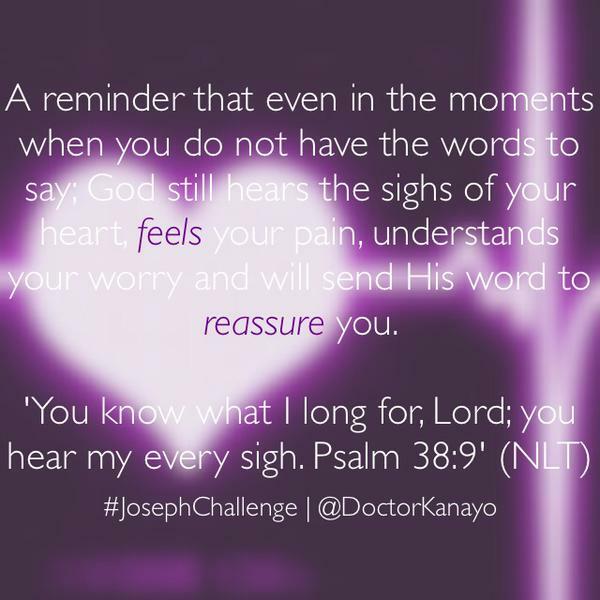 This is a reminder that even in the moments when you do not have the words to say, God hears the sighs of your heart, feels your pain, understands your worry and will send His word to reassure you.